Vesaro Commercial Sim Centre Edition Stage 4. VR simulator pre-configured ready for commercial use by integrating commercial grade heady duty professional control systems designed not only for the ultimate in authenticity and realism but also for continued use in a commercial environment. 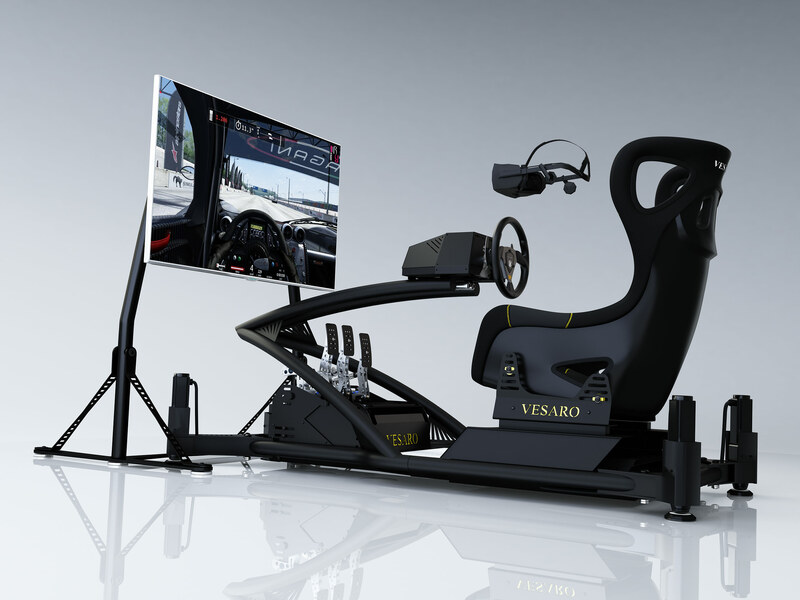 In addition our commercial simulators come pre-configured with commercial software licenses installed on one of our custom built Vesaro PC systems. Plug and Play VR simulator pre-configured ready for commercial use by integrating commercial grade heady duty professional control systems designed not only for the ultimate in authenticity and realism but also for continued use in a commercial environment. In addition our commercial simulators come pre-configured with commercial software licenses installed on one of our custom built Vesaro PC systems. The Simulator comes with a 2 Year commercial use warranty and is backed up by our free remote login support and 7 days per week free phone and email support. No special industrial or commercial power requirements are needed for this simulator.